Marina Costelloe is the President of the Australian Society of Exploration Geophysics, the third woman in 30 years to hold this role, and the first Public Sector Leader to hold this role. Marina has been a director of the ASEG since 2015. Marina Costelloe a B.Sc. and a Grad. Dip. Sci. in Geology and Geophysics from the University of Sydney and after 10 years in mineral exploration, returned to university to complete a M.Sc. from James Cook University in 2004. Marina is a geophysicist with over 25 years of experience in STEM. Since joining Geoscience Australia 12 years ago, has worked in areas as diverse as mining and mineral exploration, groundwater, critical infrastructure, monitoring earthquakes, and contributing to international efforts to monitor nuclear tests and space weather. Marina is passionate about STEM, gender equity and diversity. Marina mentors and coaches many people in all stages of their career. Sheree Armistead is a PhD candidate at the University of Adelaide. She received her BSc. Hons from Monash University in 2013 and subsequently worked as a geochronologist and mineral systems geologist at Geoscience Australia in Canberra. She began her PhD in late 2015 on the amalgamation of supercontinent Gondwana with a focus on Madagascar and India. She is an active committee member of the Geological Society of Australia and is passionate about the promotion and advancement of women and underrepresented groups in science. Sheree was involved in the consultation process for the Geoscience Australia Gender Strategy and continues to advocate for increased representation of women and dismantling stereotypes in science. A/Prof. Armand is the ANZIC (Australian and New Zealand International Ocean Discovery Program Consortium) Program Scientist and an ANU RSES researcher. She is currently a council member of the International Society of Diatom Research (2016-2019). A/Prof. Leanne Armand is an expert in Southern Ocean diatom taxonomy (the identification of marine microscopic phytoplankton). She has a strong interest in the distribution of individual species related to the physical oceanic environment, and the subsequent preservation of this environmental relationship in the fossil record. In 2007, A/Prof. Armand was awarded the Australian Academy of Science's Dorothy Hill award for her excellence in palaeoceanographic research and also the Bigelow Laboratory's Rose-Provasoli award. In 2014, she received an U.S. Antarctic Service Medal for service on the U.S-led Sabrina Coast Mission on the RVIB N.B. Palmer. A/Prof. Leanne Armand has experienced the changing world of females in academia, from the first days as a Honours student where she was asked (and declined politely) to prepare a cup of tea for her Professor, through the experiences of being a Mentee, a participant in Women in Leadership courses, to Mentor and now is in a position that enables her to use her National and International role to speak for equality and diversity across the board. Courteney Dhnaram has worked as a geologist with the Geological Survey of Queensland for 13 years. 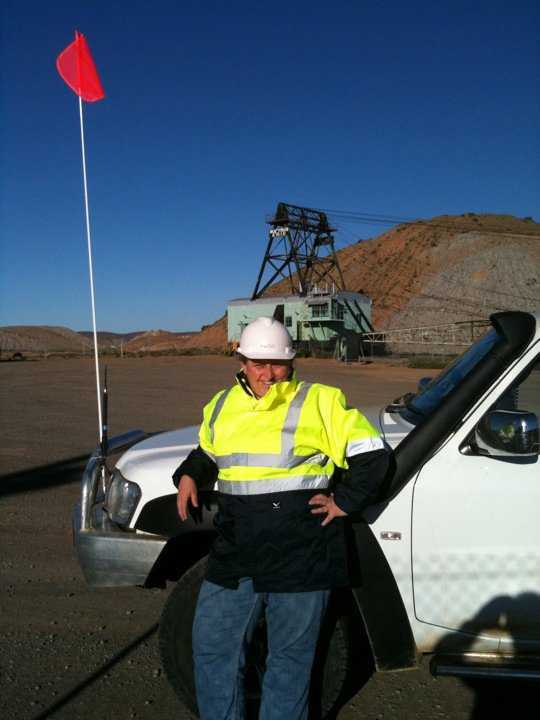 She has worked on a number of regional to camp scale projects within north-east and north-west Queensland focusing on characterising gold and copper-gold mineral systems. Her daughter was born just over 7 years ago and Courteney is still attempting to navigate working full time, parenting and the ever present itch to jump into research by starting a PhD just for fun. Dr Penny King studies the interaction of planetary materials with gases and the role of these processes in understanding the evolution of planetary environments and surfaces. These studies are relevant to gas sequestration, reactions at and beneath volcanoes and in ore deposits, and reactions on the surface of Mars and in the early solar system. Dr King obtain her BSC Hons from ANU, and her PhD from Arizona State University in 1999. She is currently an ARC Future Fellow at ANU. Michelle had a successful public service career spanning 23-years with Federal and state governments. She has broad experience across policy and program initiatives focused on economic growth. Michelle has worked in Australia and overseas at executive and senior executive levels. In her consulting role, Michelle capitalises on her government experience to help public sector leaders and their staff reach their potential. Michelle is an Executive Coach and is committed to the development of women into any, and all roles, to which they aspire. Michelle has benefited from exposure to outstanding mentors. Mentors have helped Michelle navigate her career during a time when women were not well represented in senior leadership roles. Janelle Simpson has worked as a geophysicist with the Geological Survey of Queensland for eight years. She is passionate about better integration of geology and geophysics, particularly in the field of inversion. She has worked on a variety of projects including depth to basement studies, regional geophysics acquisition, 3D modelling, and potential field inversion. More recently, her work has focused on inversion and interpretation of magnetotelluric data. 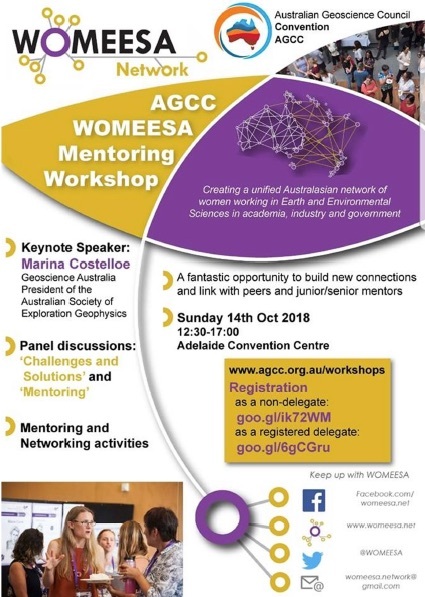 Janelle is also part of the Young Professionals group for ASEG and is working to set up a mentoring program for early career geophysicists in Queensland. Kate Robertson completed her PhD in geophysics at the University of Adelaide in late 2016. She then spent a further 6 months working at the uni before commencing her current position as a senior geophysicist in the lithospheric architecture team at the Geological Survey of South Australia. Kate is the Chair of the communications committee of the ASEG Federal executive and the president of the SA/NT branch of the ASEG. Through this role she is co-coordinating a mentor program for 2019 and believes the biggest challenge and opportunity will be to create lasting mentor connections. In her spare time, Kate enjoys yoga and long distance trail running.